This is a picture I found on-line since I am still cleaning mine up. 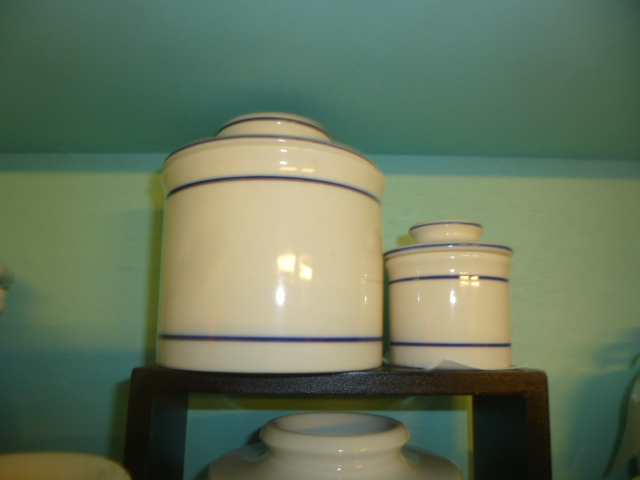 But I found this EXACT mixer with the two matching bowls at the thrift store today. The biggest bowl has a chip in it though. 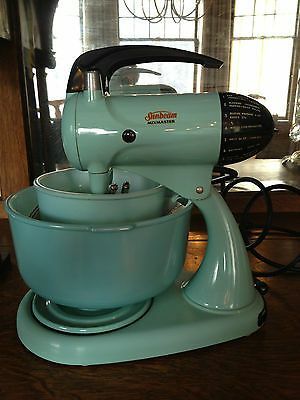 I have wanted a ‘pretty’ stand mixer; pretty enough to leave sitting out on the counter, for as long as I can remember. And it works!! But I can’t get the beaters out?!?!? Even Michael tried to no avail. I looked around on-line for old instruction manuals (it’s a 1950’s version) to see if there was a secret to getting the beaters out. No luck there either. Finally cam across a you-tube video of how to use the juicer attachment (which I do not have). Decided to watch and see if maybe they showed how to remove the beaters. They just pulled them out! But they were hard to get out in the video too. So, maybe I’ll be able to get them out after I get it all cleaned up. Lots of ‘grease marks’ all over it to clean. 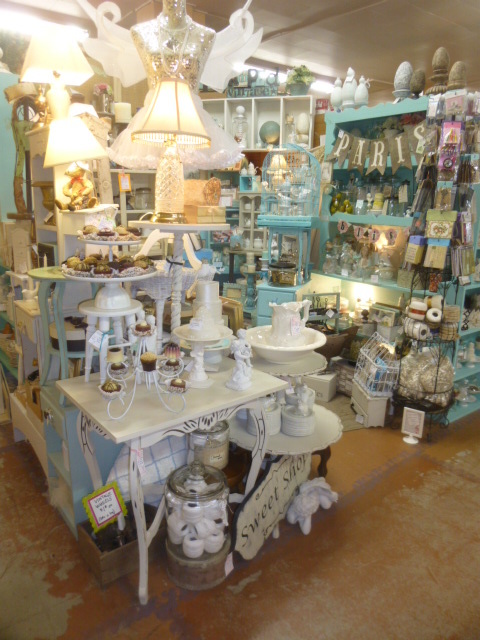 I’M SO EXCITED ABOUT MY PRETTY NEW MIXER . . . . . . AND MY NEW HOME THAT I WILL BE TAKING IT TO IN LESS THAN A MONTH!! Yep! I finally found a place. . . . AND it has an attached garage! Hallelujah for that garage!! So, now it’s full steam ahead on the packing. Seems like I have been ‘packing and purging’ for forEVER already. feels so good to finally have an end in sight. And I can’t wait to make the new place ‘my own’ and share the pictures and progress with you all here in my blog. I’ve been heavily stocking my space at Stars in anticipation of my upcoming move. I’ve got it full enough right now that I shouldn’t need to take in any more inventory until after I get moved. 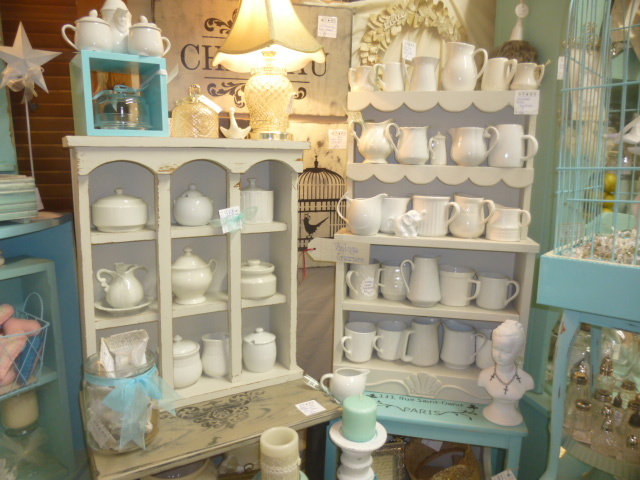 All the furniture in my booth is stacked 2-3 pieces high, so I’ll just lower the stacks as things sell, and rearrange and tidy up every week as needed. 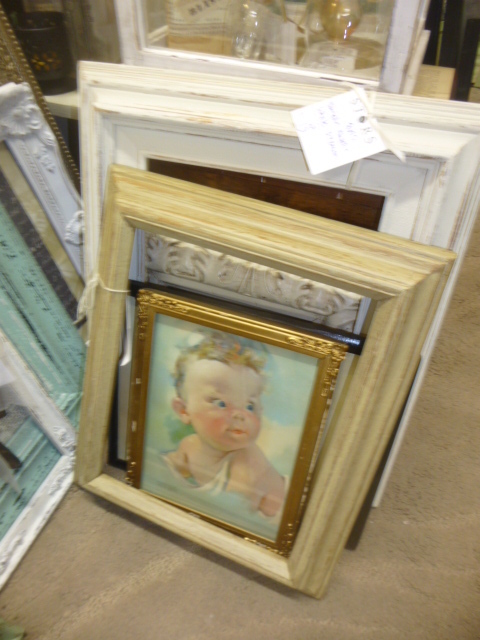 Took in a HUGE stack of frames last week! 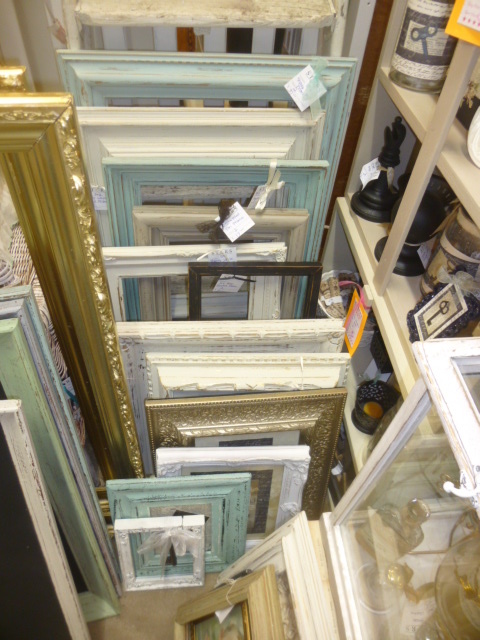 Some really BIG gold frames, behind the big distressed framed chalk boards. 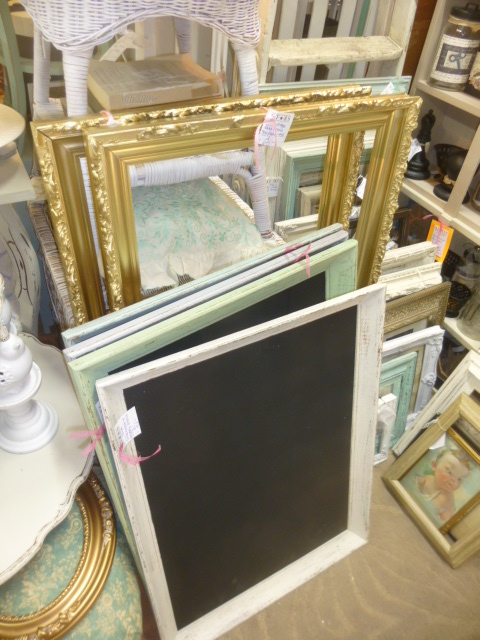 A few ‘word cloud’ chalk boards; but the more popular name for these seems to be ‘speech bubbles’. Great fun to use for photos at parties. 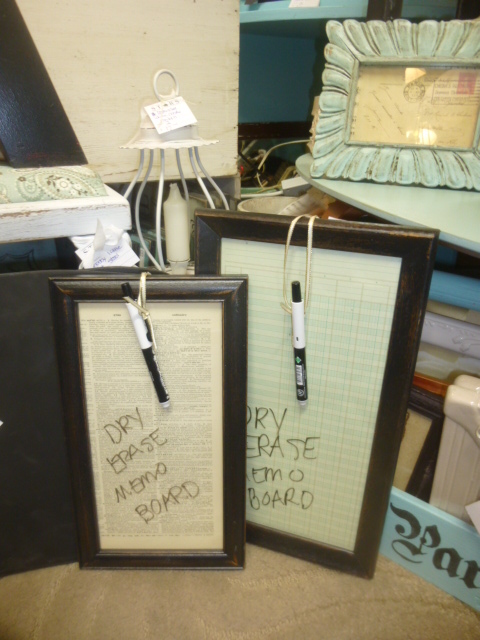 A couple of vintage styled dry erase boards. 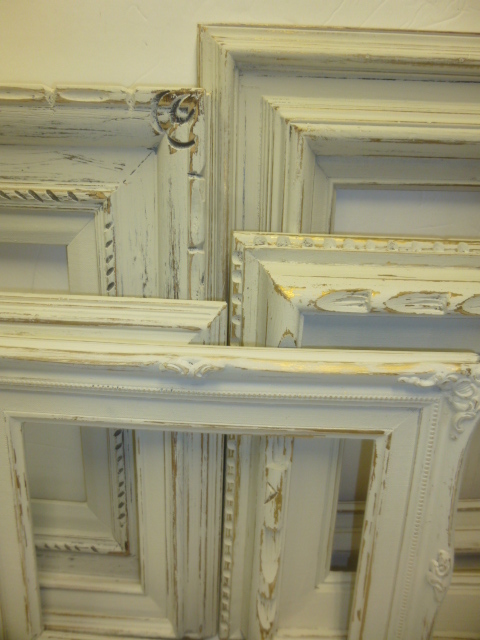 Here is a better look at a grouping of white and gold distressed frames that are a bit hidden in the above pictures. 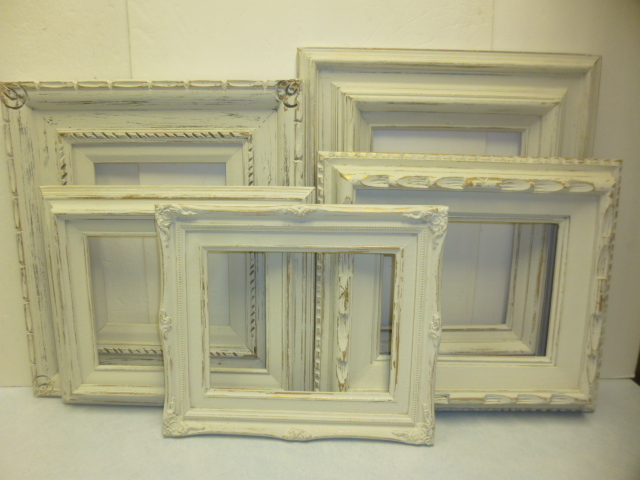 It’s been ages since I’ve had a lot of frames in stick so they are bound to sell quickly! 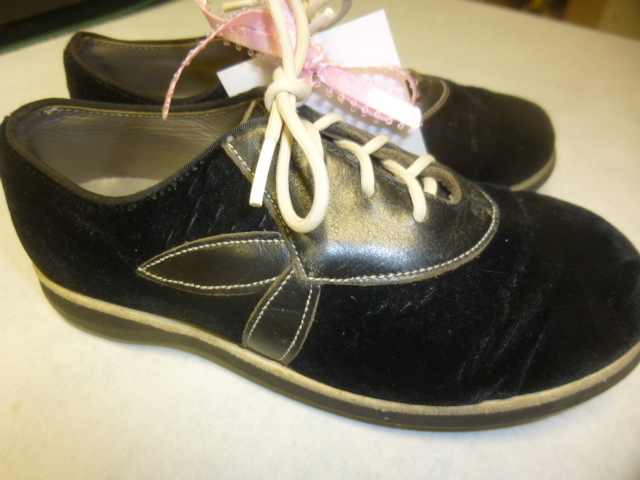 How cute is this vintage pair of suede shoes!?!? 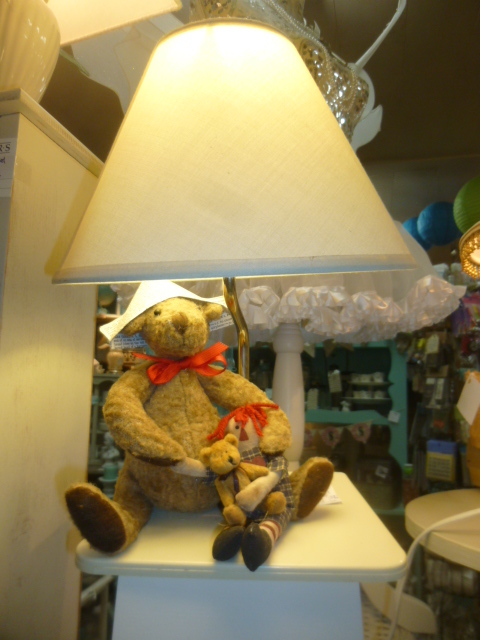 One of a kind teddy bear lamp that I made. 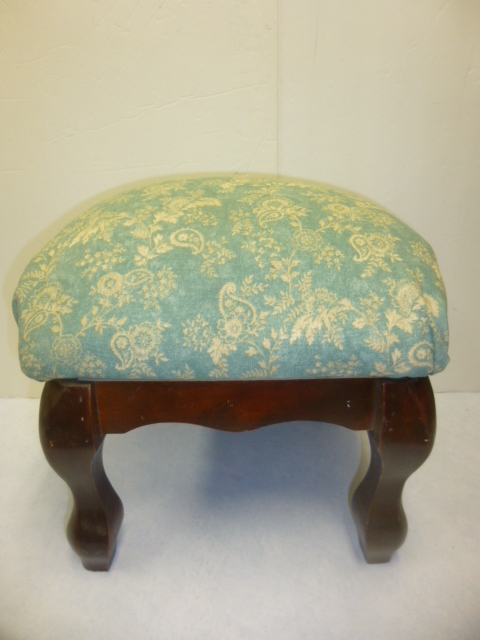 And a couple more vintage foot stools; newly reupholstered. 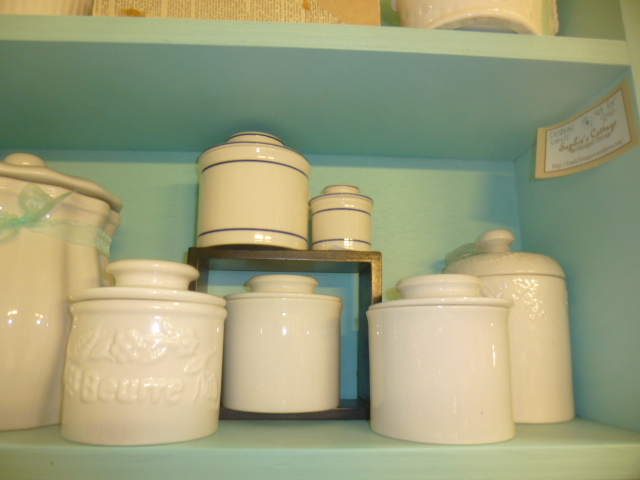 I’ve built up quite the collection of vintage cream pitchers and sugar bowls. And plenty of ‘butter bells’. I LOVE my butter bell. 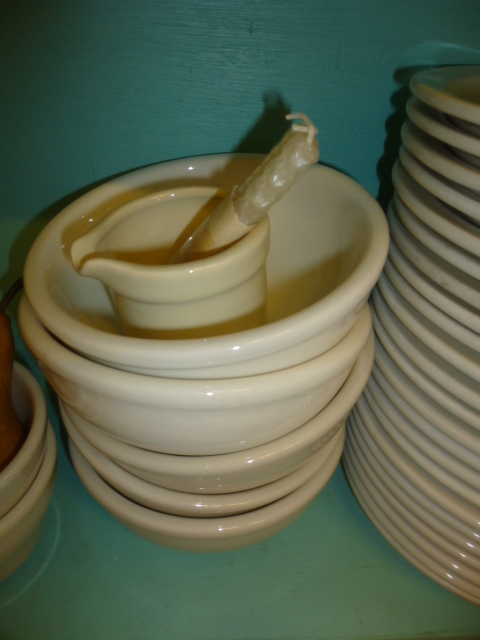 Keeps the butter nice and soft and FRESH without refrigeration. And look at this CUTIE PATOOTIE mini butter bell with it’s mama!!! 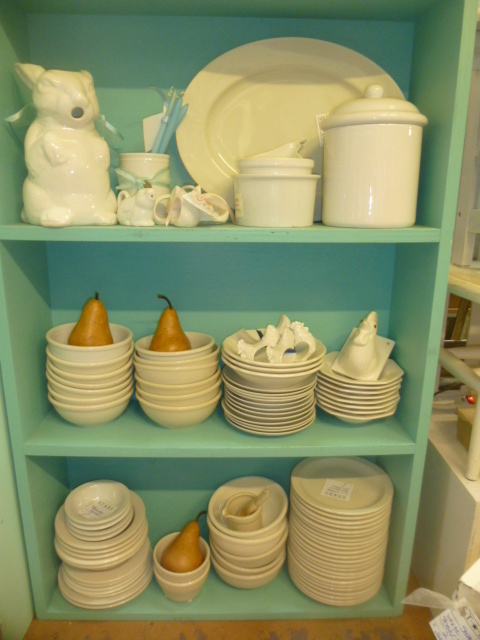 Replenished the vintage Milk Glass dishes. The gold rimmed ones are SO pretty! 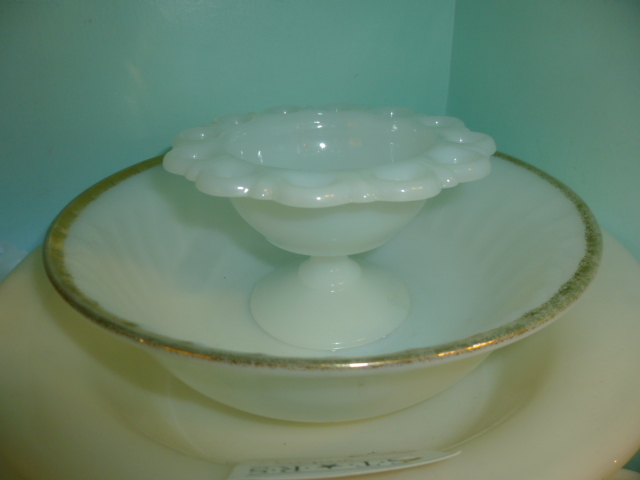 Milk glass bowls and custard cups. 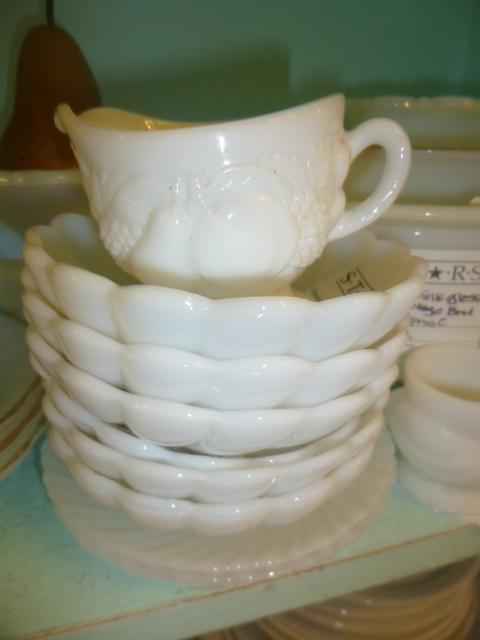 Pretty scalloped Milk Glass fruit cups and a creamer. 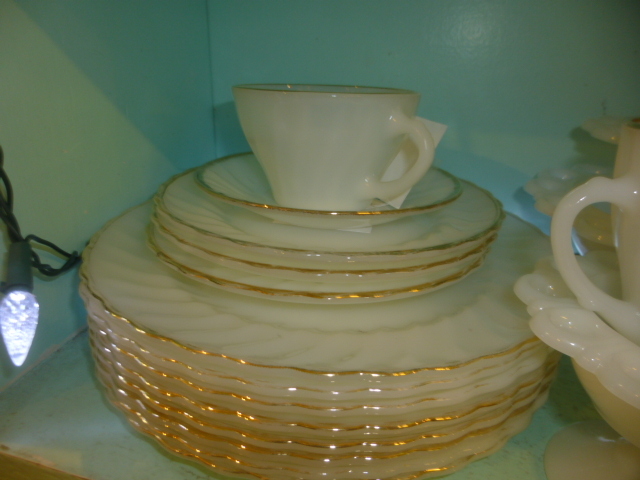 Gold rimmed serving bowl and a lace edge Milk Glass candy dish. I’ve got several of the candy dished in this small size and a larger size. Perfect for your party candy buffet! 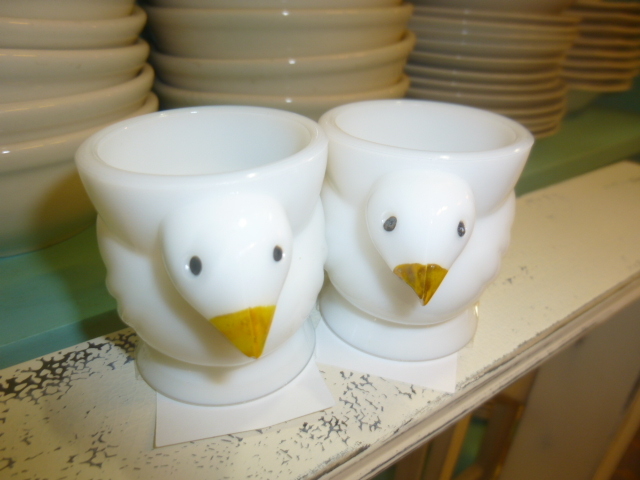 Adorable Milk Glass egg cups. 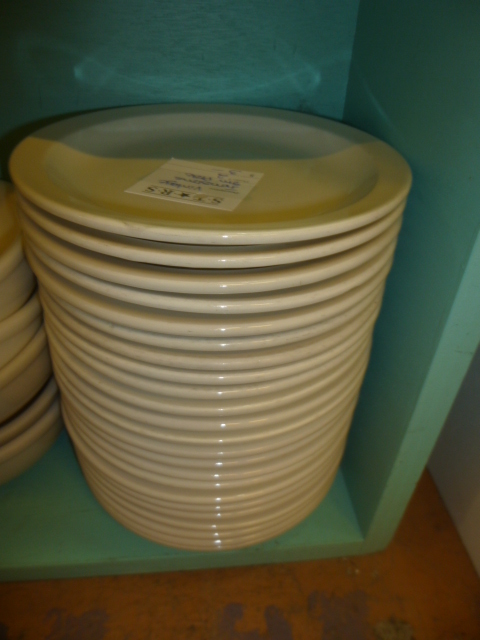 LOTS of vintage Ironstone in stock too. 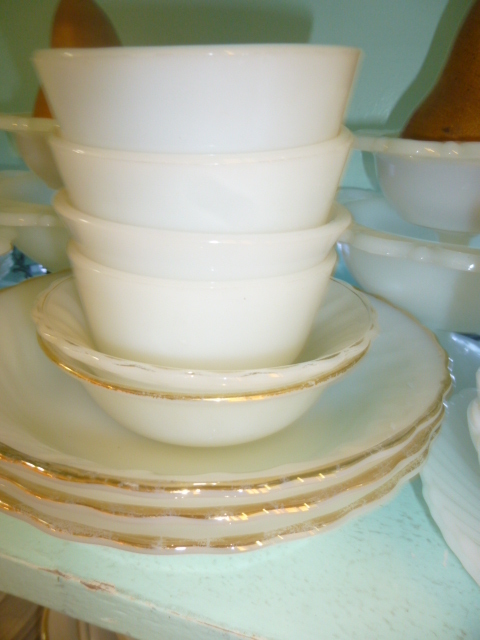 Dessert / Hors d’ourves size stoneware plates for your next party. So much nicer to use than paper plates. 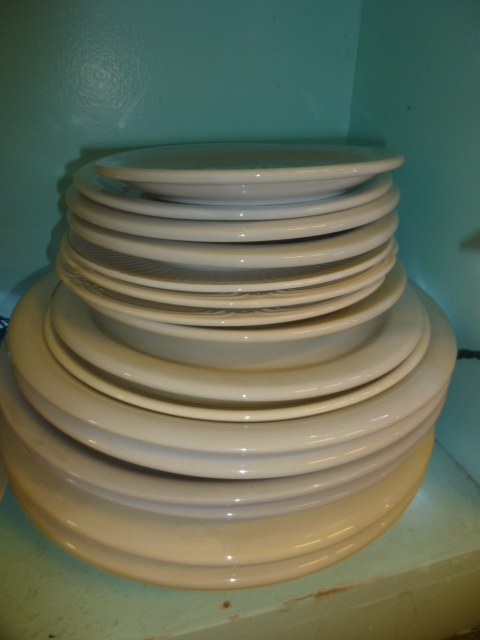 And of course Ironstone BOWLS. Bowls always seem to sell the fastest. 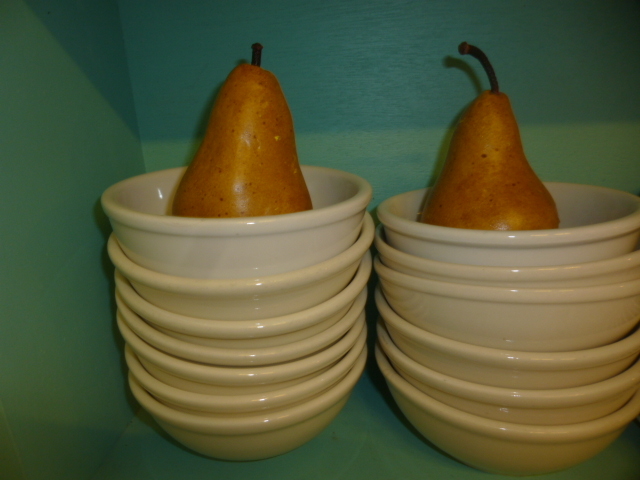 And I’m well stocked on several sizes and styles of stoneware bowls and ramekins. 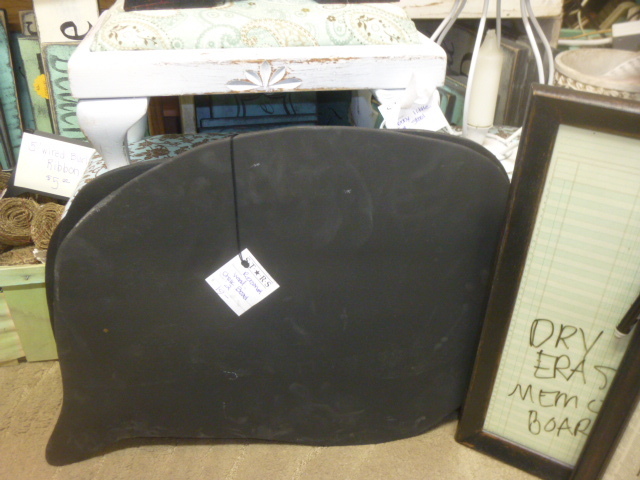 Including these extra BIG Ironstone soup/cereal bowls. 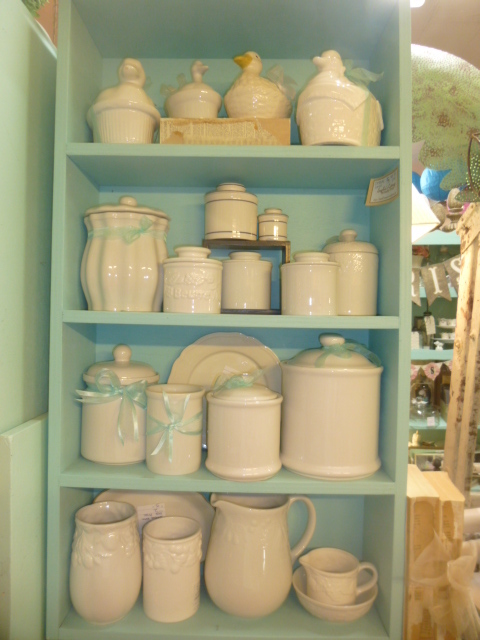 Plenty of white Ironstone canisters, utensil crocks and covered casserole dishes too. 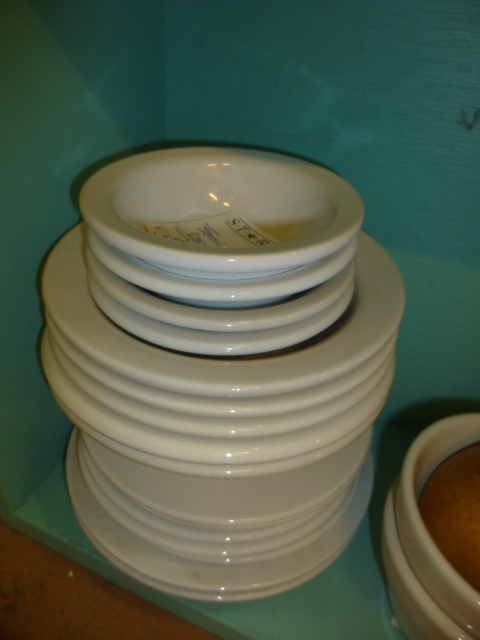 Several sets of white stoneware napkin rings too! Chickens, bunnies, kittens and plain ones. 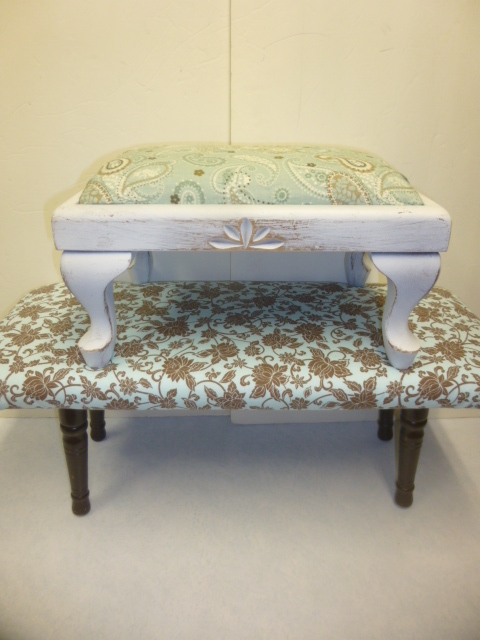 And for those warm summer nights when you want to languish on the patio . 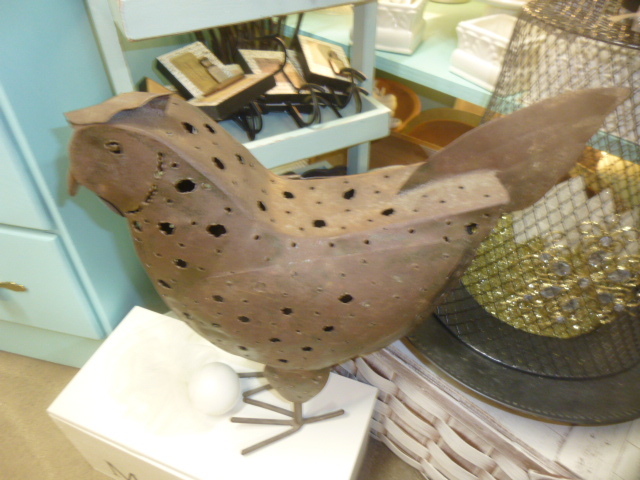 . . this big rusty rooster is a candle lantern! One wing lifts up to place a candle inside. So, fret not if you don’t hear much from me for the next month or so. I’ve got a few posts ‘written and ready to publish’ saved up so I’ll have SOME new content to add. But I’m going to be pretty much buried in bubble wrap and boxes for the next month. Wish me luck! Congrats on your new place!! So glad you found one with a garage!!!!! 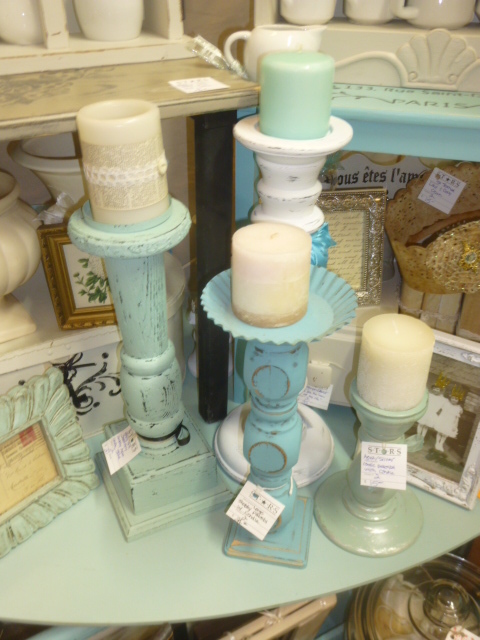 How much is the roster candle lantern, and would you be willing to ship it to Missouri? I ma not able to ship items from my booth as I have no way of knowing if they are still available or have already sold locally. Oh dear, what a gorg stand mixer you have – actually looks is mint condition. I have never seen ur shop so fully stocked -clever move girl! Oh and good luck with the move – YAY for new beginnings! Take it easy (if you can) and enjoy!! Helene all the way from South Africa! did you try turning the black handle/hook on the top front of the mixer to the side to release the beaters? It seems my mom’s mixer did that. I have what appears to be almost the same mixer – it was my grandmother’s and purchased in 1947. Moving the handle a bit changes the position of the beaters, but continuing to move it more should cause them to “pop” out just like Belinda said.